The Leadership Society is our annual philanthropic giving program, connecting our most generous investors, alumni and business partners. Members receive enhanced communication, invitations to exclusive events and one-of-a-kind Husker experiences. The mission of the N Club is engage letterwinners from all sports through events, special reunions and regular communication while supporting the success of current student-athletes. 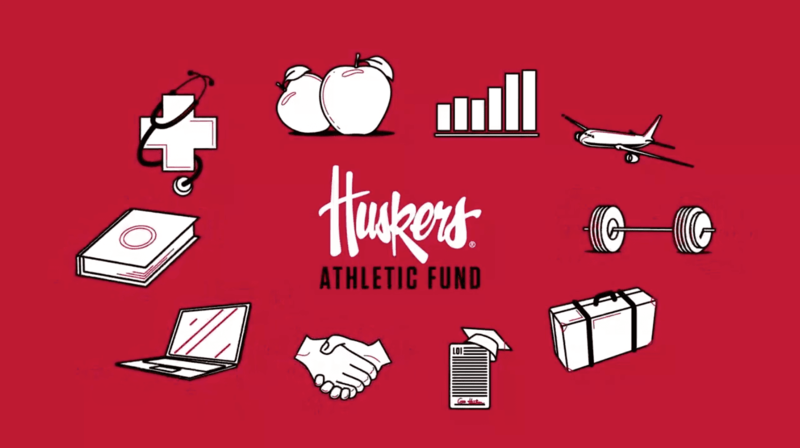 Learn about giving programs, benefits, and your impact on the student-athlete experience! Revisit the highlights from the 2017-18 season! Visit Nebraska ticket central to learn more about tickets, parking and seat yourself. Football season ticket & parking invoices available online. 2018 submit date to receive tax credit for donations not tied to tickets or parking. Football season ticket & parking invoices mailed. Seat Yourself information included with season ticket invoice. Football season ticket & parking payment due. Football Seat Yourself & parking requests due. Stadium seating contributions & additional donations due. Priority points calculated for Seat Yourself & single game ticket allocations. Volleyball season ticket & parking invoices mailed. Volleyball season ticket & parking payment due. Volleyball Seat Yourself & parking requests due. Football parking improvements & new requests completed. Men’s Basketball & Women’s Basketball season ticket & parking invoices mailed. Men’s Basketball & Women’s Basketball season ticket & parking payment due. Men’s Basketball & Women’s Basketball Seat Yourself & parking requests due. Women’s Basketball Seat Yourself begins. Men’s Basketball Seat Yourself begins.